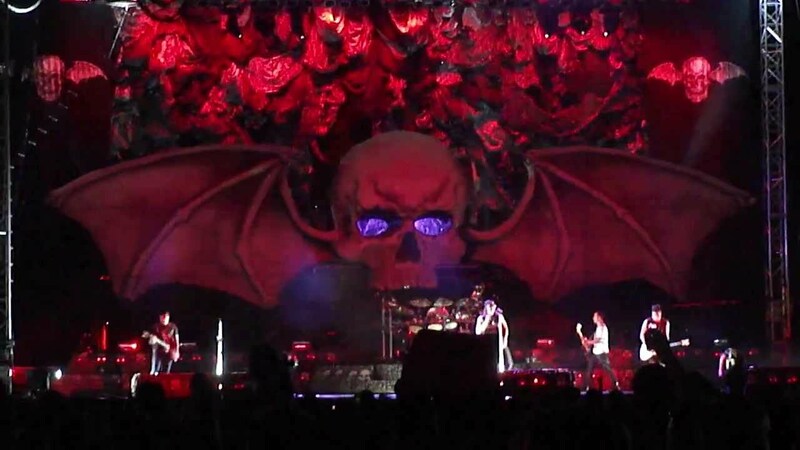 Californian hard rockers Avenged Sevenfold have quickly become one of my favourite bands. 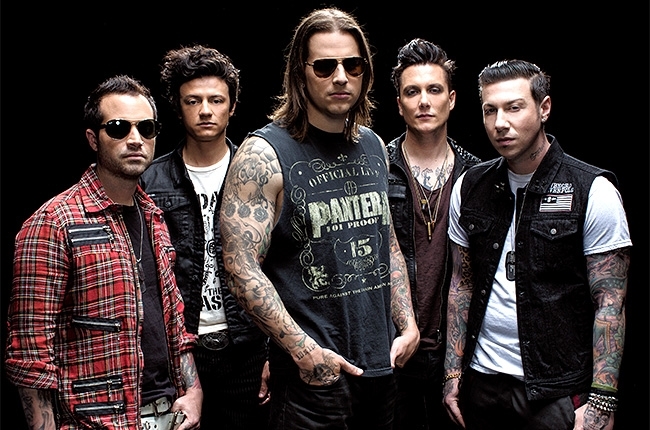 Their riffs are wicked, M Shadows has a great voice and it’s the kind of music that’s easy to get into. 2010s Nightmare album was quite a personal album to them after their original drummer Jimmy “The Rev” Sullivan died so a lot of their songs were more sombre and reflecting on death. With their latest album Hail to the King the band says they’re now having fun again. How does this compare to their other albums though? Right at the start of opener Shepherd of Fire you’re greeted to the sounds of pouring rain with church bells in the background which very much gave me vibes of Black Sabbath’s Black Sabbath (Anyone else?). It very much goes well with the dark tones Avenged have had in the past with songs like Nightmare or Beast and the Harlot which I like. 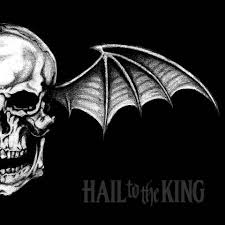 The album’s title track and first single Hail to the King is another highlight. It definitely sounds like a song that a wrestler can make an entrance to with the monster riffs and for the yells of “Hail to the King”. If you’re familiar with the other Avenged Sevenfold albums this one can feel pretty formulaic. It starts out with a dark track, follows with a shredder has a slower ballad in the middle etc. Whilst most of their songs are heavy there’s always at least one ballad on the albums (Seize the Day, I Won’t See You Tonight Part 1, So Far Away etc), and this album’s slow song Crimson Day sounds a lot like So Far Away. 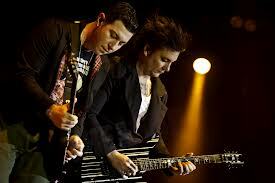 Some of the more creative songs were the demonic sounding Requiem with the choir and sinister talking, and Planets which highlights Synyster Gates’s guitar skills and has lyrics with quite an apocalyptic feel to them. So as you can guess the album is more of the same, but in the case of Avenged Sevenfold that isn’t necessarily a bad thing as these songs are addicting which is very much true with their other albums. Whilst Avenged have generally been known for long songs this album is actually quite short by their standards. With only 10 songs and the longest being Acid Rain clocking in at roundabout 6:40 is still nowhere near as long as something like Save Me or M.I.A. The album’s other criticism came in the form of being accused of ripping off other artists. Robb Flynn of Machine head tweeted “Congratulations to Avenged Sevenfold on their latest “covers album” coming in at #1, who knew that re-recording Metallica, Guns N Roses, and Megadeth songs could be such a worldwide hit!!?? Ba-dap Psssssss! !” Well damn! I only really noticed that Black Sabbath comparison I mentioned earlier but I’m sure Metalliheads (apologies for getting the fanbase name atrociously wrong) would know better than me. Despite these shortcomings though the album sold really well selling 159,000 copies in the United States in it’s first week, becoming the band’s first number 1 album. Not only that but the band have been touring with support from popular bands such as Deftones and Five Finger Death Punch. They were also confirmed as the day 1 headliner for Download 2014. If anything the commercial success of this album has only helped them get more noticed propelling them to future heights and in my eyes few bands deserve it as much as they do. Whilst this new album may not be groundbreaking it does what it wants. It gives the fans their fix, gets them back on touring schedule and despite past heartache the band are back to their old dynamic selves, and you really can’t say fairer than that.